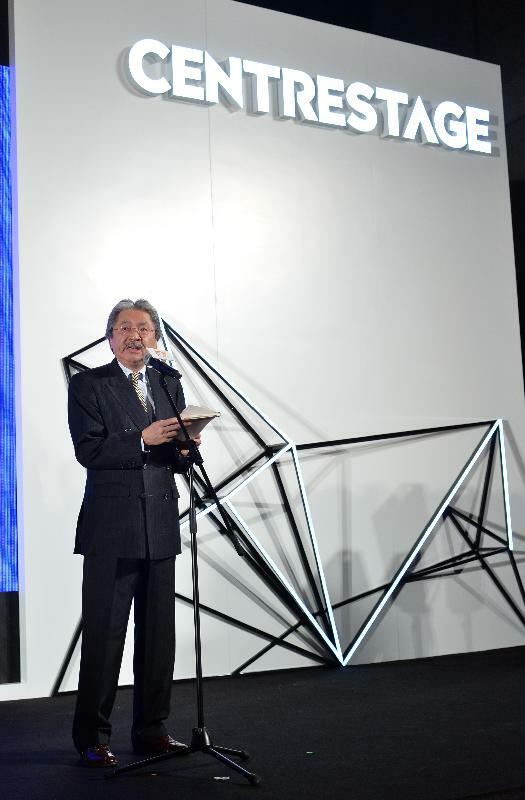 I am indeed very pleased to join you all on this very special occasion, the inaugural Centrestage, a four-day trade fair splendidly packaged for the fashion world by the Hong Kong Trade Development Council. I am particularly happy to be here, since Margaret and her fab fashion plates at the TDC have promised to give me a complete makeover with a bold new look that would make me even more appealing before I leave this evening. I told her that I just have one humble request - I am keeping my moustache. I always believe personally that the moustache is a must-have for gentlemen. And in keeping with Centrestage's four stylish theme zones, my awesome options range from "Glam" and "Allure" to "Metro" and "Forward". This is certainly the event to do all that. And Hong Kong is the city to make all that happen. Local fashion designers continue to create their own brands and find success on this catwalk, in Hong Kong and around the world. The Hong Kong Government attaches great importance to our designers - to the fashion industry in general. In my Budget, I earmarked HK$500 million to the industry and set out strategic directions. And these include stepping up promotion of Hong Kong fashion designers and brands, strengthening technical expertise and training for fashion designers, and launching an incubation programme for emerging fashion talent. Through these efforts, and other measures, we support the industry's shift to higher and even greater value-added design. In this regard, the Advisory Group on Implementation of Fashion Initiatives will surely play a significant role. As well as nurturing home-grown designers, Hong Kong has long been an international fashion capital. We attract a world of brands and related fashion business, as well as the consumers who flock to Hong Kong for their global fashion-shopping forays. 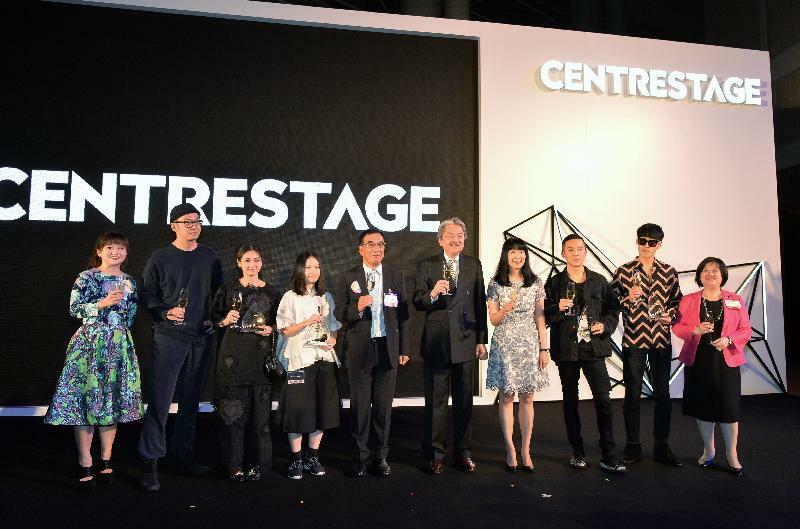 Centrestage was designed to build on Hong Kong's brand-building strengths, to help Asian and global brands find regional buyers - shops, department stores, e-retailers and more - for their ready-to-market collections. That can only boost Hong Kong's standing as the region's fashion capital. The TDC's month-long citywide campaign, "Hong Kong in Fashion", will help; it continues through the 25th of this month. And there's more fashion fanfare to follow in the months to come. For now, Centrestage has centre stage. Beyond its brand showcases, catwalks and featured shows and parades, Centrestage will present the 40th Hong Kong Young Fashion Designers' Contest on Saturday. Centrestage welcomes the public, too, with free admission on the trade show's fourth and final day. A chance to catch the glamorous pulse of the industry, to meet the designers, to see, first-hand, the latest fashion trends and, perhaps, like me, pick up a new pair of flip-flops. My thanks to the TDC for giving us Centrestage. For making business - and for making fashion - magic, once again.